As our new school year opens, our calendar is beginning to fill as school groups schedule tours! We invite all educators to bring your classes to tour our historic village, our art gallery and kiva, and especially to view the kiva murals which were painted at about the same time as Michelangelo’s frescoes in the Sistine Chapel! There are beautiful trails near the river where classes can walk, and standards-based lessons on our website for students to complete before, during, or after their visits. 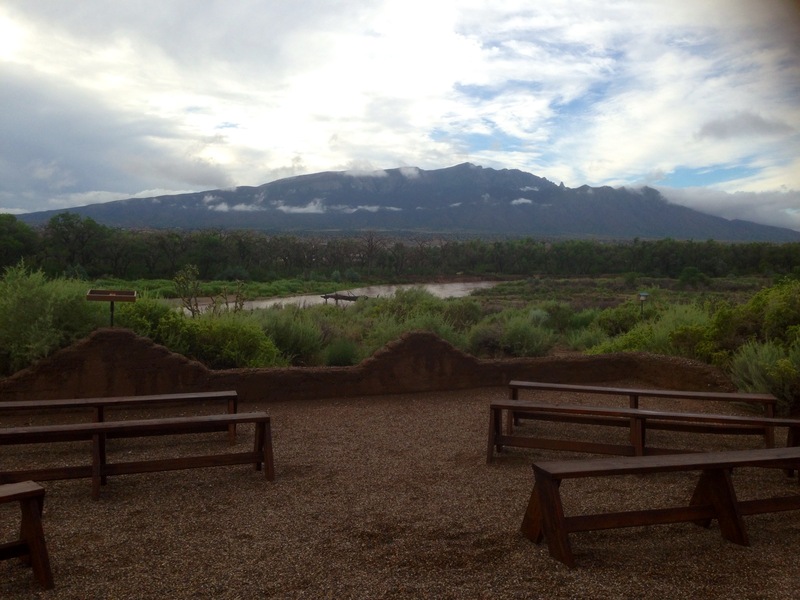 What better inspiration could there be for writing beautiful poetry than standing on the site of an ancient village overlooking the Rio Grande? Tags: Ancient, Common Core, Coronado, field trips, Kuaua Pueblo, Lesson Plans, Murals, Native American Art, New Mexico History, Pueblo, Rio Grande, Schools, Sharon, Standards Based. Bookmark the permalink.